As a female entrepreneur and #bossbabe, I know firsthand how hard it can be to create your own path in life. There is no manual as to how to make your dreams and goals come true but I make it a point to meet with fellow movers-and-shakers who inspire me to keep pushing forward. It really helps me to hear from other entrepreneurs on their journey, how they overcame obstacles, and how they were able to achieve their dreams. Every single person will tell you that their journey wasn’t easy and it often takes many failures and mistakes before they reached their success. 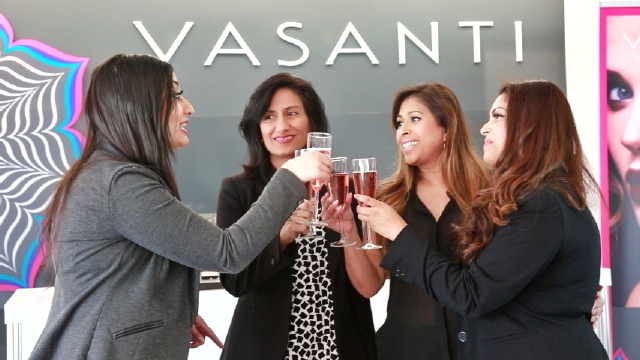 So today I am chatting with the female founders behind VASANTI COSMETICS. It’s not easy to build a beauty brand up from scratch but the ladies prove that with hard work, determination, and support you can make it! I hope you will watch this interview and feel inspired to follow your own dreams, whatever it may be, and most importantly, to support other women. 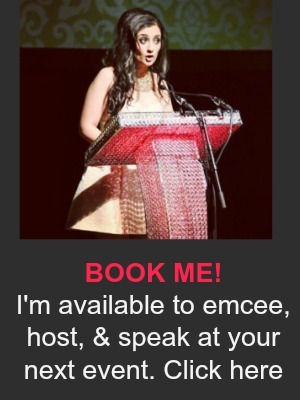 Together, let’s create a world of strong female leaders! Here’s to women ruling the business world! 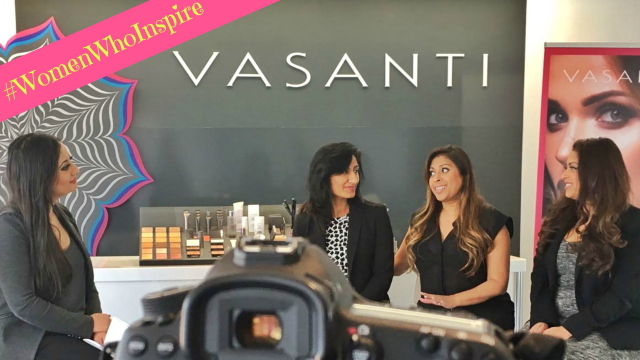 I have been using VASANTI products for years, having been introduced to the brand by one of my makeup artists. Right away I fell in love with the brand. They were a Canadian-owned company, ran entirely by women, and had fantastic products for South Asian skin at affordable prices. Once I started my media career, I started running into the ladies behind VASANTI at various events but it was only recently I got to really know them. A few months ago, I visited Monal, Pinki, and Gargi at their new corporate office in Markham and I was completely blown away at what the women had created. Bright, spacious, and full of their products, the VASANTI office is any makeup lover’s dream space. The ladies were so welcoming to me and supportive that a short meeting went on for hours! I instantly felt like I had made several new friendships and the timing couldn’t have been more perfect. I have been wanting to launch my own product line and was feeling overwhelmed. But after meeting the ladies and especially after interviewing them, I felt like I got the push to take the leap! So I hope this interview will do the same for you. Whatever your dreams are, go for it. It’s not going to be easy but then again, anything worthwhile never is! ← The Pageant Awards Are Back!